Iconic guitar company goes bust as guitar sales worldwide are falling. Manchester has always championed guitar music in all its forms, from pop to punk, baggy rave to dance to Brit pop and beyond. In the city there is a vibrant live music scene where guitar bands can be seen in up to 20 different venues every night. Yet in America, the home of the electric guitar, sales have fallen drastically and the Guardian newspaper in a doom-laden article even considered whether this was the end for the guitar. This summer, iconic guitar company Gibson filed for bankruptcy. This is the company that made the Les Paul, The Flying V, the twin necked SG and the Firebird - guitars wielded by Jimmy Page, Slash and Angus Young among others. Ironically one of the reasons for Gibson’s demise not a fear of a declining guitar market but its diversification into a consumer electronics business saddling it with so much debt from which it never recovered. Other reasons may have contributed to the guitar’s malaise. The rise of the pop star and hip hop may have taken the hearts and minds of a generation away from guitar led classic pop and firmly into the bedrooms where online DJs and laptop musicians have little need for an instrument from their parent’s youth. But what does this mean for Manchester whose music shops are positively crammed with wall to wall guitars of every colour, make and design? 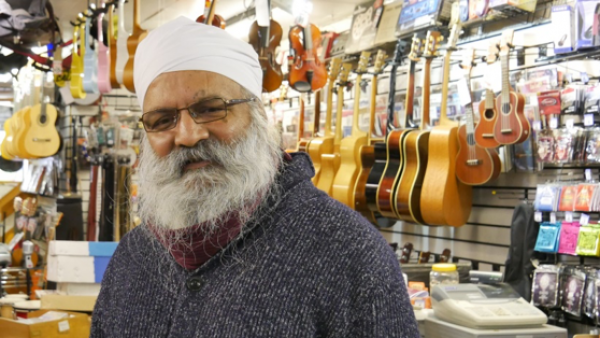 Amrik Singh, of Chase Music on Oldham Street, sells mainly Chinese Guitars and with prices ranging from £75 to £300 seems unconcerned by the apparent downward trend. Fender, the other big Guitar manufacturer has seen half of its units being bought online. 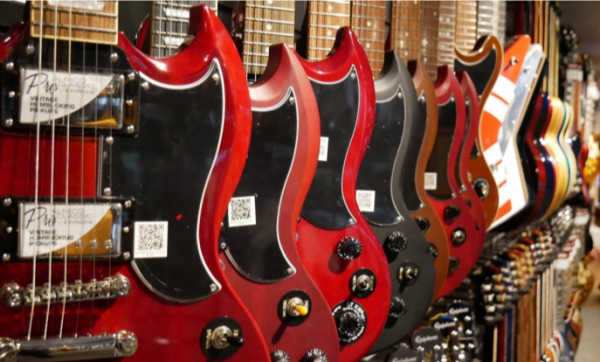 US based, Robert Miles, an IBISWorld research analyst, says that if guitar manufacturing revenue is up, it is the opposite for guitar shops, which are being elbowed out by online shopping giant Amazon. Dawson’s on Portland Street in Manchester, which prides itself as the best guitar shop in the city, sells Gibsons, Fenders, Gretches and other high-end guitars which sell for up to £3000. In other Guitar retailers in Manchester the story is the same, Rob Sewell at Johnny Roadhouse who sells second hand guitars has not seen any difference to sales. But he did notice that more women were buying guitars than ever before. In October Fender's UK team announced that, from a 2016 survey, they were amazed to find that half of its sales were to girls and women. An answer may lie in Manchester where the growing ‘open mic nights’ sport hundreds of guitarists eager to play their songs in the pubs and bars around the city and beyond, hoping to find an audience and be discovered. A great many performers on these nights are women. 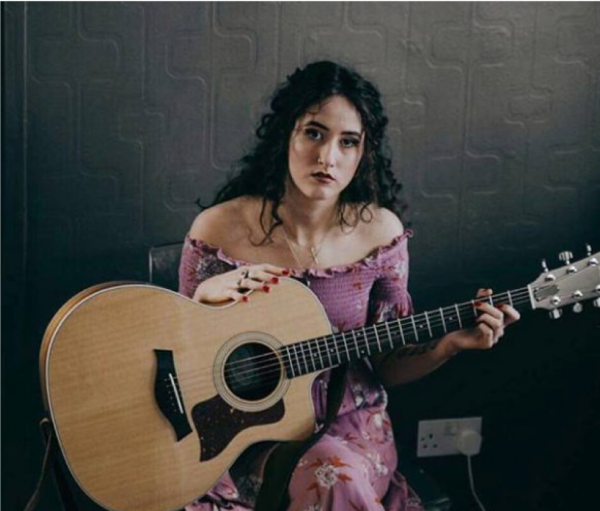 Reports of the death of the guitar seems to be greatly exaggerated, certainly in Manchester where bands of musicians both male and female armed with their guitars are on a mission to find yet another open mic spot where just maybe . . .
John Robb, the voice of punk rock in Manchester reluctantly said, at the height of rave culture in 1992, that the guitar was dead. It survived then and it will probably survive now, and it seems, the future is women.